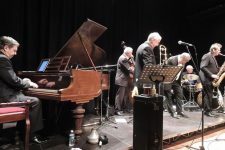 Malvern Jazz Workshops 15 Sept, 13th Oct, 24th Nov, 15th Dec 2018. Simon Purcell is Professor of Jazz Piano and Improvisation at the Guildhall School of Music and Drama. Simon is offering a series of workshops at the Malvern Cube WR14 2YF, on Saturday mornings 11.00am – 1.00pm. £7.50 per session, to join a group of 12 max. 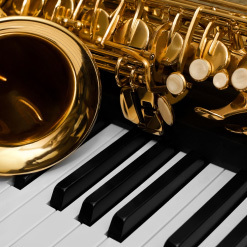 Learn the basics of Jazz, or learn some more, and play with others. We hope people of all ages and abilities will come along. Helpful if you can play an instrument reasonably well, and you know the notes and some scales. Contact Simon on 07830 145108 or email spurcell@ntlworld.com. More about Simon on www.simonpurcell.com.